Homemade sighting aid for woodworker's winding sticks. 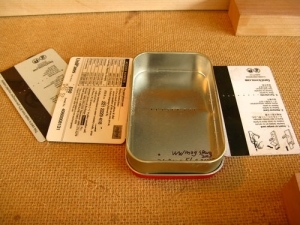 Fashioned from a tin can or plastic card with a series of holes drilled in a line across the middle. Intended to render any twist revealed by the winding sticks more readily apparent.